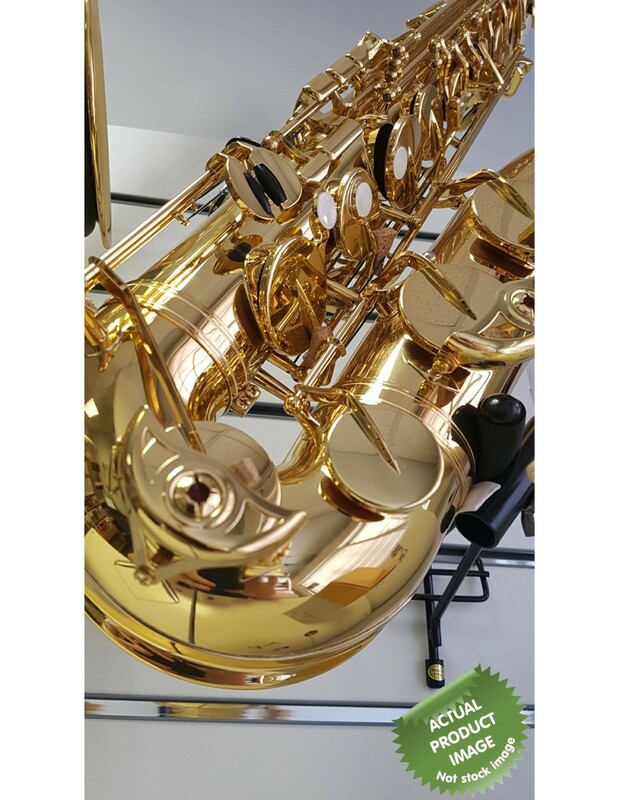 Yamaha's 62 series saxes have become a modern classic and are used by leading professional players worldwide. Their strong clear sound, and excellent playability have set new standards in professional model saxophones. *This is a Re-Sale(?) instrument in Great Condition(?). In fact, the condition is that good, that we could easily sell as a new product, complete with transit corks, and you would be unlikely to know otherwise. The new 62 is an improved version of Yamaha's Classic 62 Series Sax, the instrument that revolutionized the world of the saxophone, becoming the first serious challenge to the famous instruments of the past. The 62 has always been the sax of choice for many of the world's top pros. Offering surprising value for the price, and amazing flexibility (it can be used for virtually any musical genre) it is characterized by a highly expressive tone, comfortable playability and extremely accurate intonation. One of the biggest new improvements to it is the G1 neck, which gives a better response and more playing flexibility. Also, the entire body has been annealed for a rich resonant sound. The octave key system offers quicker, smoother action and the neck receiver design is based on the Custom series for enhanced resonance. This also comes with an attractive ultra-lightweight case that provides excellent protection, and includes a handy shoulder strap. Yamaha is a brand trusted by millions of musicians worldwide. Attention to detail and precision are Yamaha's trait which has earned the trust of students, and the respect of world-renowned musicians. An inimitable blend of leading technology and craftsmanship goes into each and every instrument. The products are developed and perfected to significantly enhance the overall precision and playing experience. To finish the saxophone's body, Yamaha have coated the instrument with a highly attractive gold lacquer. This material is hard and is known to be very reliable and sustainable, ideal for beginners. The shiny surface also offers a high-end look so players can use with confidence. 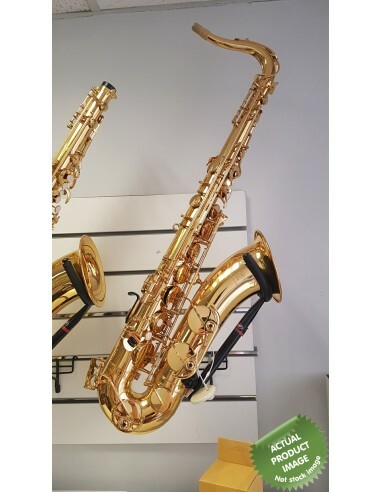 The Yamaha YTS62 features an improved mechanism from low B-C# connection, to make sure that the low C# key shuts reliably. This change has also helped the instrument to achieve a clear response from notes in lower ranges. Faster response and more control are the results of a narrower bore. The new 62-style neck offers better air flow so that players can maintain a solid tonal core. The neck receiver helps to seal together the neck and body, providing richer tones. Yamaha have designed a single plate to hold all of the instruments key posts in one place, delivering a solid core with deep tone colour. Using hard steel needle springs, Yamaha have created a faster and more sensitive response. A new bell design has been delicately hand-engraved with finer detail, for added elegance. The Yamaha YTS62 Saxophone comes equipped with a TS-4C mouthpiece and mouthpiece cap. Made from high quality phenol resin, the 4C features a design inspired by the Yamaha Custom series. The 4C offers consistent playing technique and is recommended by teachers as a suitable upgrade for avid students. The facing of this series is shorter than the custom series which makes it easier for beginners to play and is capable of achieving rich characteristic sounds. Also included with this saxophone is a semi-hard case to help keep the instrument protected during travel.